5. Fook Kwan (Inside Pole) Kum Kwan is another term often used. Pole training is very common in all forms of ‘traditonal fighting from all over the world. The staff or cudgel were common in Medieval times. Pole are common as they were readily available. The most common length being approx 5-6ft as poles of this length were used to tranport pails of water from wells. Howerver, the Wing Chun pole is approx. eight feet in length, but can vary up to around 9ft. The saying a foot longer a foot stronger relates to the potential to keep someone at bay or to beat a person who has a pole a shade shorter, much like the importance of a western boxers reach in the ‘tale of the tape’. There obviously come a point where the weight/lenght of the weapon is too extreme! Using your hands correctly enables you to use them like ‘gunsights’. Accuracy is life saving.With such length there will be limited need for movement, indeed the 6 1/2 refers to the amount of techniques in the Pole Form. The tip is used to devastating effect and, with accuracy and focus, it is a formidable weapon. In weapons training the stances change to accommodate the power and to create safety against the opponents weapon. The very short wing chun pole since is known as Kwan Ma (pole stance) sometime referred to as ‘half hanging stance’ and is used to prevent an opponent from easily striking the inside legs and particularly reduces risk to the inner leg. It is not a huge leap to realise that a pole with a knife on the end is a ‘Spear’. Any strike to the lover inside leg can them be fatal. The stance is low as this allows the practitioner the ability to cover his body well with much smaller movements. In the picture, to the right, Sifu Eric Wilson is demonstrating the dangers of holding the pole too high. Your opponent simply should not lift their pole too high. ‘equaliser’. This could also be psychologically weakening too. Like all aspects of Wing Chun Kuen (except the knives) the pole is simplicity personified.There are no fancy techniques involving twirling or grip changing. The real skill lies in the use of power. The pole is used with explosive short power and shocks the target, whether that be any part of the opponents body or their weapon. 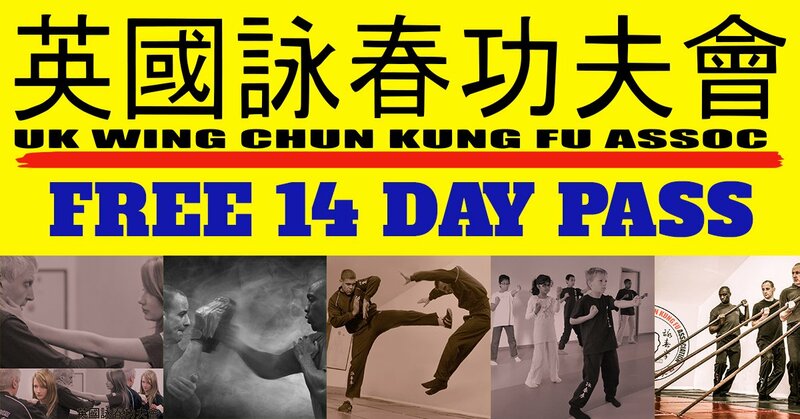 Wing Chun Pole training develops tremendous forearm and wrist strength. As such it benefits the punching power and most basic hand techniques. 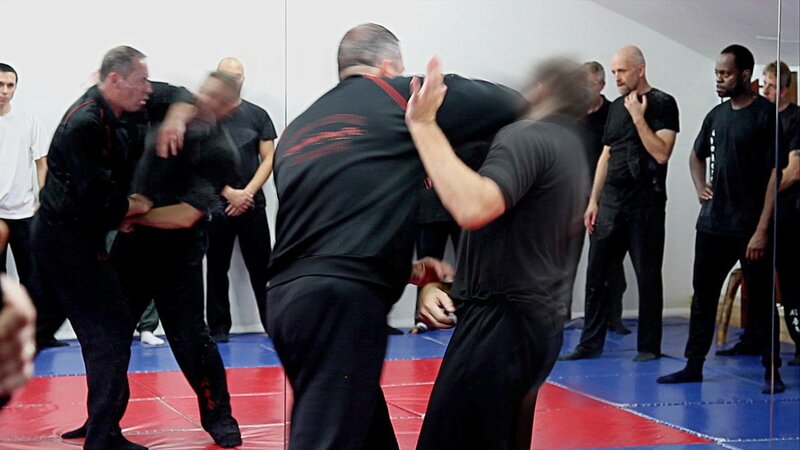 If one can use the power explosively the benefit to general short distance power in empty hand combat is maximised. In the picture below Master Sinclair is teaching at his annual Summer Camp and you can clearly see the pole bending on the down stroke. Master Sinclair will often break a pole with the use of correct power with the lighter poles.